Thank you for visiting Hertford Town Youth's website. We are a growing community club providing youth, senior, ladies and inclusvie football. Established in 1998 the club has grown to over 400 members and has been dedicated to providing competitive youth football and coaching for boys and girls in Hertford and the surrounding area. Our home base campus is located at County Hall and a short walk away at West Street Playing Fields. We are a Charter Standard club affiliated to the Hertfordshlre Football Association. The club has teams over a range of age groups with members starting from 4 years old. We are always looking for players and as a club are dedicated to providing football for as many children as is physically possible. The club has in place an elected Committee, consisting of parents and volunteers who are responsible for the management of all affairs of the club. We have a constitution, rules and codes of conduct which all officials, members and parents should adhere to. We aim to keep our membership fees as low as possible by encouraging sponsors and by running various social and fund raising events throughout the year to purchase kit and equipment. Communities can play a big part in creating a nation of life savers. Having a defibrillator in your community and training people in CPR means that more people will know what do when someone has a cardiac arrest. If you're wondering what an AED is – and why they seem to be located in most offices and public buildings, you're not alone. In fact, because these devices are now commonly available, more people than ever before are curious about them. So – just what is an AED? An AED, or automated external defibrillator, is used to help those experiencing sudden cardiac arrest. It's a sophisticated, yet easy-to-use, medical device that can analyze the heart's rhythm and, if necessary, deliver an electrical shock, or defibrillation, to help the heart re-establish an effective rhythm. Does my community need a defibrillator? Yes, your community needs a defibrillator. For every minute someone is in cardiac arrest without CPR and access to a defibrillator, their chances of survival drops by up to 10%. Having a public access defibrillator (PAD) available in an emergency can be life saving, especially in rural areas where ambulance response times may be longer. You can check the response times of the ambulance service in your area on the ambulance response times website. In Hertford it can vary anything from 10 minutes to 3 hours. What are the benefits of having a defibrillator in my community? By having a defibrillator in your community and by training people in CPR, you can play an important part in saving more lives. How can WE fund a defibrillator? Public access defibrillators are often bought by parish councils, residents groups, social clubs and churches. Funds can be raised through business sponsorship, donations and fundraising activities. How can WE buy a defibrillator? The average cost of a defilbrilator is approximately £1200.00. 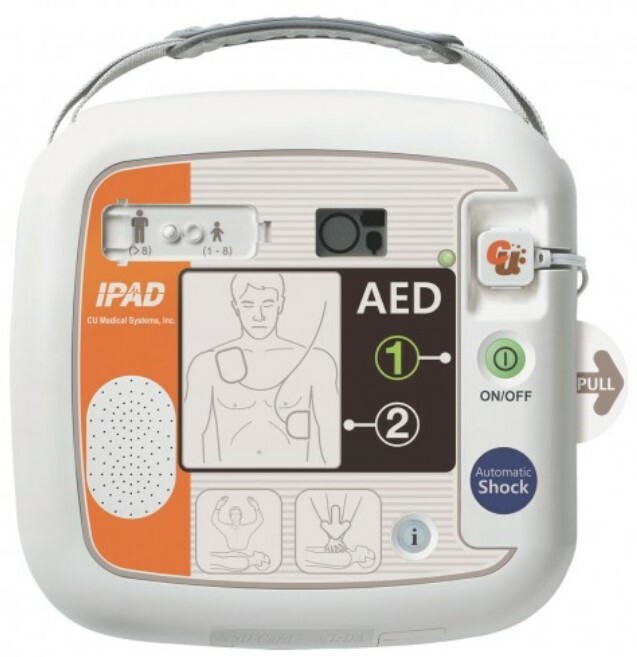 BHF.org has pre-approved a 50% grant to HTYFC to provide one iPAD SP1 defibrillator. This is on the condition that the defibrillator is located externally and accessible 24/7. CPR training needs to be widely promoted to the community and not limited to users of the club. so this then has a wider benefit to the whole community not just HTYFC. We are seeking donations from HTYFC members to raise the additional £600.00 required to enable us to purchase an AED. Any surplus funds generated will be used for the benefit of the Players going into next season. Please donate, its all in a good cause, all you need to do is click the link below and go through the process.